MP PPT 2019 Application Last Date has been Extended till 23rd April 2019. The Exam will be Held on 9th May 2019. MP PPT 2019 will be conducted by Madhya Pradesh Professional Examination Board (MPPEB) or MP Vypam. MP PPT is conducted by Madhya Pradesh Professional Examination Board (MPPEB) or MP Vypam. Madhya Pradesh Pre Polytechnic Test is organized for admission in various diploma programmes offered by the polytechnic institutions in Madhya Pradesh. In this article, in detailed information of about MP PPT 2019 is provided which includes Application Form, Exam Dates, Eligibility Criteria, Exam Pattern, Admit Cards and Syllabus Etc. MP PPT 2019 Application Last Date has been Extended till 23rd April 2019. Click here to Check Application Details. MP PPT 2019 Exam Date has been Announced Now. The Exam will be Held on 9th May 2019. 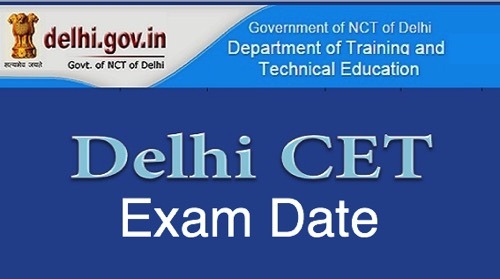 Click here to Check Exam Date Details. In the table, exam dates are mentioned in MP PPT 2019 entrance examination. All candidates who are going to appear for MP PPT 2019 exam must know the events such as Starting of the online application form, Last date to fill the application form, and Starting of correction in the application form, etc. Here, we have mentioned the dates for the MP PPT 2019. MP PPT 2019 Application Form has been Released on 2nd April 2019 and the Last Date Submit 23rd April 2019 (Extended). Candidates have to Fill an application before the due date mentioned on the website. Candidates can check the guidelines given below to fill the MP PPT application form 2019. The MP PPT 2019 application form can be filled and submitted through online mode. After filling application candidates also have to upload the recent color passport size photograph, signature and handwriting proof. Candidates must keep printed copies of MP PPT 2019 application form/fees slip for further reference. All candidates have to pay application fees. Payment can be made through online mode. The application fee for general category will be 400/-. For the reserved category, the application fee will be 200/-. Application fee can be paid through online mode and Kiosk portal of the board. Candidates have to check the MP PPT 2019 eligibility criteria through this they will get to know whether they are eligible to apply or not. Below is provided MP PPT 2019 eligibility criteria containing Nationality, Domicile, and Qualification criteria. Candidates should check MP PPT eligibility criteria before proceeding for the application form. Candidate should have the domicile of Madhya Pradesh state. Qualifying Exam: Candidate must pass 10th or equivalent examination from the recognized board. Minimum Marks: The candidate should score the minimum of 35% marks to appear in the exam. Subjects: The candidates should have mathematics, physics, and chemistry in the qualifying exam. 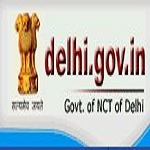 Candidate those passed with grace marks can also apply. MP PPT 2019 Entrance exam will be Held on 9th May 2019. MP PPT 2019 Entrance exam is organized in online mode means a computer-based test. Questions paper should be completed by candidates within 2 hours duration. A question will be in objective type questions asked in the examination. Duration of Exam: The complete duration of the exam for about 2 hours. Candidates must make a schedule for study. Candidates should make an accurate & precise strategy to crack the exam. Candidates should study according to syllabus prescribed. Candidates must give equal time to all the subjects. Candidates should collect all the study material of the syllabus. Cover every topic from the chapter. The study from the best books for best preparation. Candidates can prepare from the previous year question papers. Candidates should collect details of syllabus and exam pattern. Candidates must get familiarize with MP PPT 2019 exam pattern and syllabus. The study from MP PPT 2019 prescribed by the competent authority. MP PPT syllabus includes subjects such as Mathematics, Physics, and Chemistry. The study from 10th standard syllabus through these candidates can achieve good marks in the exam. MP PPT 2019 admit card will be available from the first week of June 2019. Authority will issue the MP PPT 2019 admit card on the official portal. Candidates can download the MP PPT 2019 admit card through online mode. The MP PPT 2019 admit card contains details like candidate’s name, roll number, exam date, time, exam venue and other details. The merit list will be prepared on the basis of qualifying (12th) exam after the declaration of the result. The separate merit list will be prepared for the reserve categories. MP PPT 2019 result will be issued after the completion of the written test. Candidates can check the MP PPT 2019 result through online mode. MP PPT 2019 (ITI to Diploma) Lateral Entry Merit List will be Releasing on 2nd January 2019. To check result candidates will be needed to enter their roll number and date of birth. For the reserve categories, the separate list will be prepared. MP PPT 2019 counselling details will be issued by the authority in the local daily newspaper as well as in official websites. 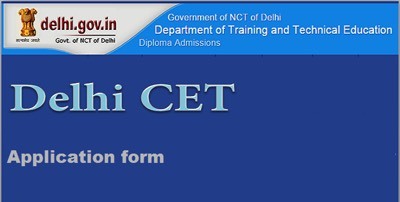 Candidates will be given opportunities have to select the course and college in which they are seeking for admission. MP PPT 2018 Admit Card & Rank Card. Passport size photograph (same as in application form). If you have any other queries about MP PPT 2019, you can write your queries in the comment box given below.